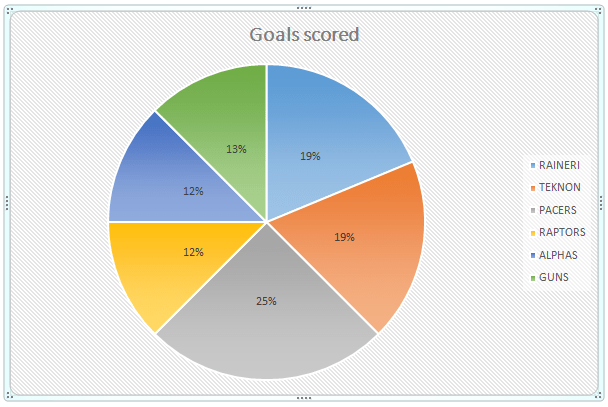 Matchday 1 saw a total of 16 goals scored, an average of 2.67 goals per game. All teams scored at least a goal, meaning no team was able to keep a clean sheet. The 16 goals scored were evenly distributed between the halves with both 8 first half goals and 8 second half goals. Pacers were the highest scoring team with 4 goals from 2 games while Guns conceded the most number of goals, also 4 from 2 games. Of the 16 goals scored, 12 came from open play with 1 freekick and 3 penalty kicks completing the numbers. The Alphas, winners of the fair play award last season, were the only team not to be shown a yellow card. 0 The number of clean sheets kept by any team on Matchday 1. 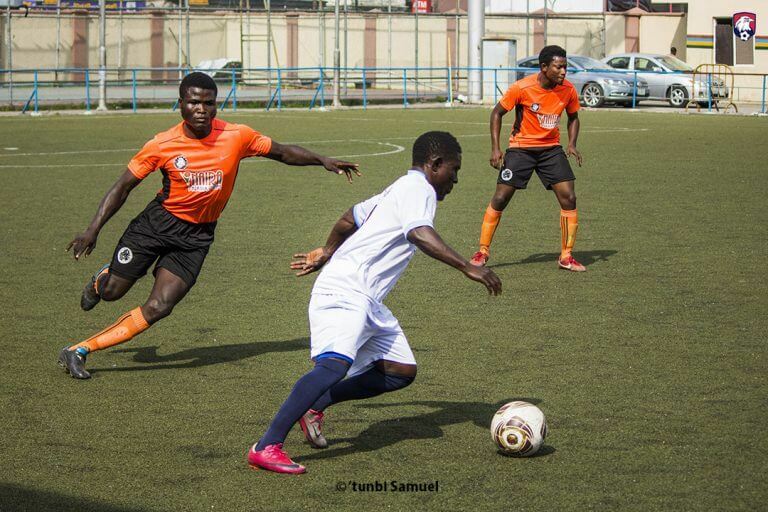 1 The fastest goal of Matchday 1, scored in the 1st minute by Ezekiel (Pacers United) vs Guns FC. 1 The number of free kicks scored on Matchday 1. Scored by Ayo (Pacers United) vs Guns FC. 2 Most goals scored by individual players, currently held by Goodness (Teknon), Adelanwa (Raineri) and Ebonie (Guns). 3 The number of penalty goals conceded and scored. 3 The number of teams unbeaten after Matchday 1; Raineri FC, Teknon FC and Raptors. 3 Three wins and three draws recorded out of six games played. 4 Most goals conceded by a team, Guns FC. 4 Most goals scored by a team, Pacers United. 6 The highest number of saves made by a goalkeeper in a single game, Raineri FC Goalkeeper. 7 The total number of yellow cards shown. All teams except Alphas have received at least one yellow card. 8 First half goals and 8 second half goals. Evenly distributed. 16 The total number of goals scored on Matchday 1. 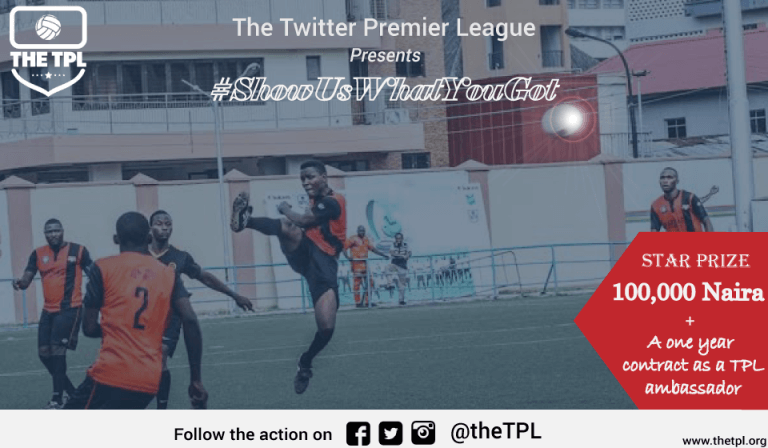 Matchday 2 resumes with a replay of Game 2 of TPL 6, Guns vs Raptors, which the Guns won comfortably. They would be expected to post the same outcome of that game in order to pull themselves off the bottom of the table. Raptors are unbeaten in 2 out of 2 this season, an upgrade from last season where they exited without much of a fight, but need to do more to shrug off the last-minute equalizers tag they obtained from Matchday 1. Next up is Raineri vs Pacers, undoubtedly the most exciting game of Matchday 2. Pacers are defending champions and despite a slow start in their first game this season, demonstrated champion character by brushing aside the team they defeated in the final last season. Raineri however have put a dismal debut season behind them by avenging their damaging loss to Alphas at TPL 6 and going on to top the league table after Matchday 1. Expect fireworks from this one. Closely followed is a grudge match between Alphas and Teknon, with a narrow victory for Teknon at TPL 6. With both teams blowing hot smoke ahead of Matchday 2, this promises to be another explosive encounter. Alphas need a win badly as they find themselves in unfamiliar territory at the bottom of the table after Matchday 1, while Teknon would need to consolidate on their impressive start that has seen them propelled to joint top of the league table after Matchday 1, and with games against the bottom-placed teams, Alphas and Guns, they are poised to go clear at the top. Raineri vs Raptors appears to be a routine win for the men in purple based on current form while Raptors need to convince fans of their ambition to go all the way. Both teams though remain unbeaten after Matchday 1. The final game of Matchday 2 sees Pacers take on Alphas. Both teams have never met in the TPL but Pacers exciting brand of football might just give them the edge over Alphas as they claim to reclaim top spot after suffering a shock defeat in their opening game to Teknon.